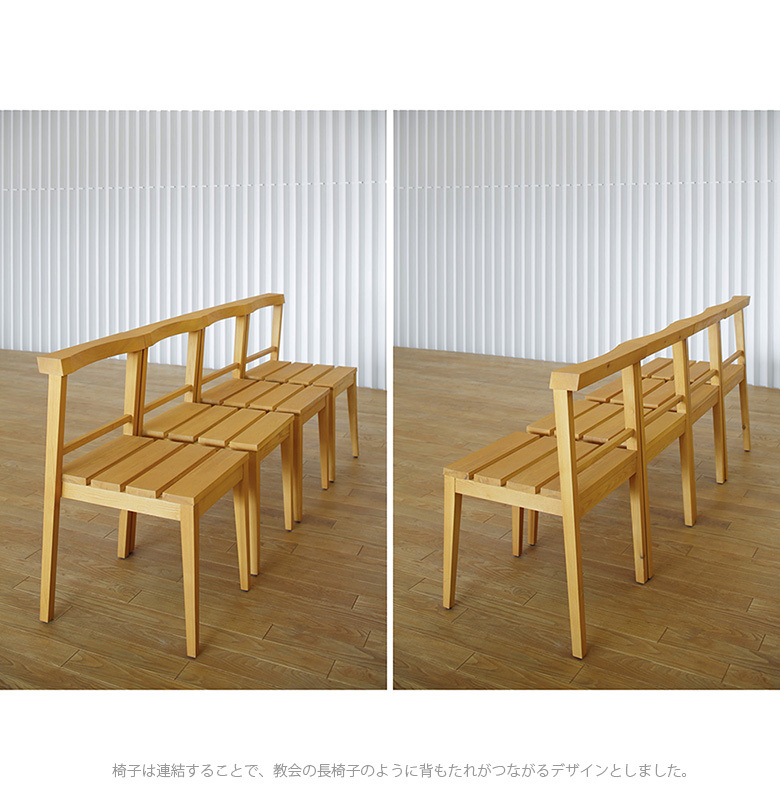 A project for renovating a wedding hall in Ebisu, Tokyo. The building was constructed during the economic bubble as an annex to an exclusive members-only salon next door. Ownership changed hands several times, thereafter, but the building continued to be used primarily as a wedding hall. The current owner desired to eliminate the existing building’s excessive ornamentation and realize a design animated by natural light. 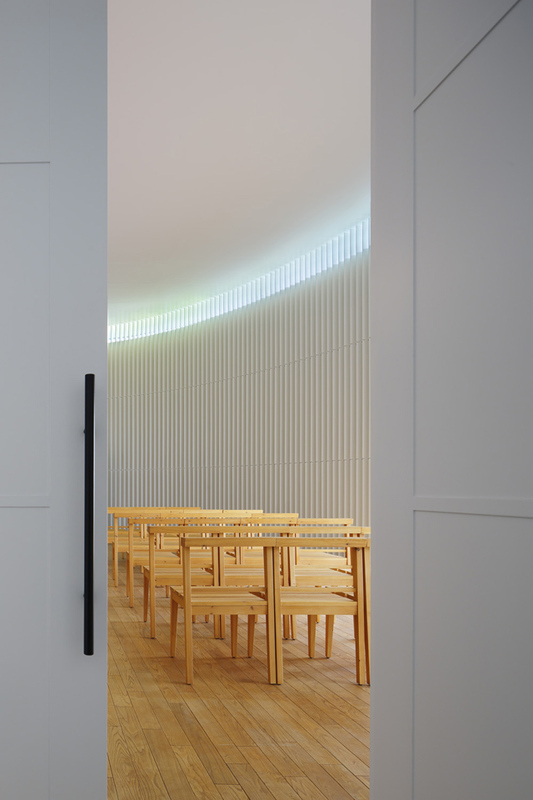 To this end, we proposed to give maximum play to the oval plan and high sidelights of the chapel in the existing structure and to use light to produce ornamentation. 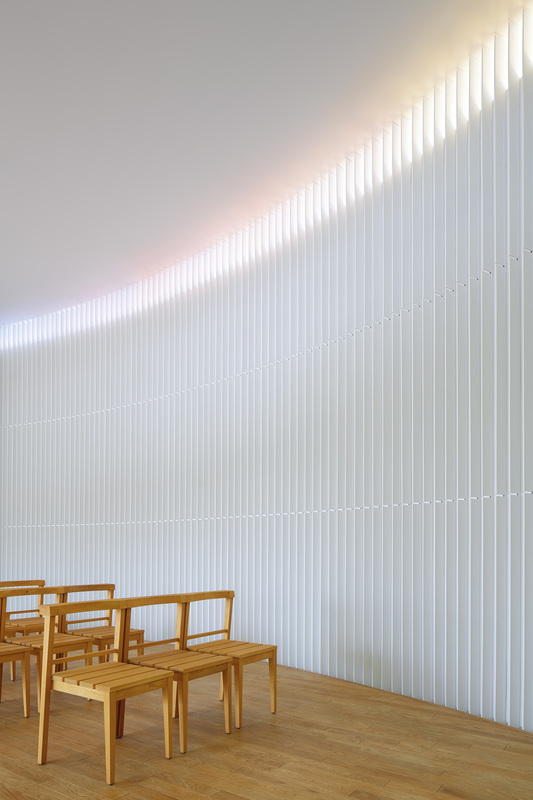 By painting each high sidelight window a different color, we imparted faint color hues to light entering the chapel. 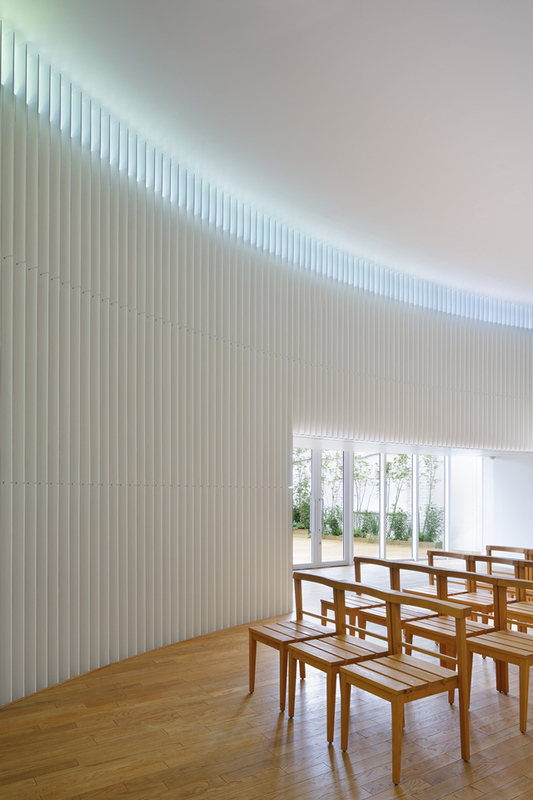 Ribs arrayed on the oval wall catch the colored light, so that rainbow-like light fills the interior space. In the bible, a rainbow is symbolic of a promise. By giving “decoration to light” instead of using physical ornamentation, we have transformed the space into a contemporary ceremonial space.